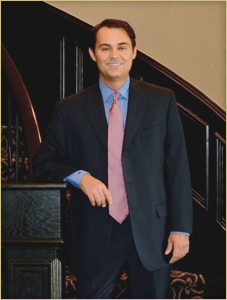 Among Oklahoma City personal injury attorneys, Maples Law Firm is known for aggressive work and tremendous results. Our lawyers also help people throughout Oklahoma with not only personal injury, but also with catastrophic injuries, including wrongful death, and medical malpractice. In every area of our work, the client comes first -- we strive to provide outstanding service through prudent advice and zealous advocacy. Ray Maples believes strongly in spiritual values. We use our beliefs in our ongoing battle representing injury victims against large corporations and insurance companies. We like to compare this struggle to that of the biblical battle between David and Goliath. Our injury victims are the underdogs, often being abused by huge corporations and insurance companies. The unlimited funds of these corporate giants put injury victims at a disadvantage. Every injury victim needs someone just as skilled and aggressive to fight on their behalf. For the attorneys of Maples Law Firm, fighting for the injured is a calling. Ray Maples formerly represented some of the largest insurance companies in the world, but gave it up to represent the people of Oklahoma instead. Our lawyers can level the playing field for you -- we can make things right! Contact Ray Maples and get him on your side, fighting for you. Call us toll-free any time, 24 hours a day, 7 days a week, at . Whether you need help in wrongful death, medical malpractice, or have suffered an Oklahoma personal injury, our attorneys and staff will quickly return your e-mail or call.